Soprema Acquires Belgian Roofing Co.
Soprema, Inc., the Ohio-based roofing and waterproofing company, has acquired Derbigum Americas Inc., the U.S. division of a Belgian roofing multinational. The move allows Soprema to add Derbigum’s line of roofing adhesives, mastics and primers to the Resisto and Chem Link brands; all part of the Soprema family of companies. Derbigum began U.S. operations from a base in Kansas City, Missouri in 1989, and business will continue operating as usual without disruption. In April, DuraDek launched a free online tool for deck designs. Called Dek-Vision, they say it is the first online design tool available to homeowners, builders and remodelers that deals specifically with vinyl decking. Dek-Vision allows users to experiment with the deck surface, railing color, and even the siding to find the look that’s just right for individual tastes. The website is free to use and comes pre-loaded with eight options that cover the most popular choices. Users also have the ability to upload a photo of their own deck to try out which ones will best match their exterior design. Dek-Vision is equipped with the full Duradeck range of 27 color options in 10 different patterns, and all nine standard Durarail colors. This new visualizer is now available on the Duradek website (www.duradek.com/Dek-vision). 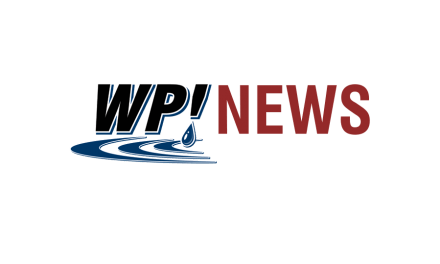 In June, SprayWorks Equipment Group formalized a partnership with Graco Inc. affirming their status as a distributor for Graco pumps, mixers, guns, and parts. The partnership will give customers access to some of the highest quality equipment in the industry, and also reduce cost. SprayWorks continues to offer PMC equipment as well. In addition to providing spray equipment, SprayWorks also offers complete training and technical support on all Graco and Gusmer equipment. 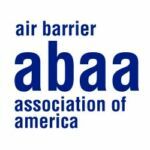 The Air Barrier Association of America (ABAA) offers a Quality Assurance Program. The QAP is a risk management quality assurance program that addresses the potential issues before and during the installation process, rather than finding and fixing mistakes after they are made. Key to the effort is ensuring the installation is performed by individuals and companies that are educated and have the experience to properly install air barriers. The key is that AABA certifies both materials and workmanship. In order to participate in the QAP, contractors agreement to use ABAA-certified labor, use ABAA-certified products, and follow the installation guidelines listed on the ABAA website. With a QAP, liability shifts to the ABAA, and the design professional is not required to pre-qualify or try to determine who is qualified and who is not. The ABAA-accredited contractors must meet minimum requirements for insurance, ability for bonding, employ certified installers, and possess the necessary equipment to install and test their work, be trained in the Site Quality Assurance Program and sign a licensing agreement dictating professional conduct and the right to terminate their license should they not meet the requirements of the program. Firestone Building Products released its 2017 Sustainability Report, which provides a comprehensive review of the company’s sustainablity efforts related to the roofing and waterproofing industry. “Firestone Building Products is committed to sustainable products and business practices,” said Taylor Cole, president of Firestone Building Products. The report highlights the completion of the parent company’s Nashville headquarters, Bridgestone Tower which incorporated Firestone products and is expecting LEED Gold certification. Across the company, Firestone has implemented more than 40 energy efficiency projects in recent years, including an effort by a Arizona EPDM plant that has recycled more than 12,700 tons of pre-consumer scrap material, diverting it from the landfill to be reprocessed back into product. The complete report can be downloaded online. Polyglass recently published a series of online videos detailing how to install the company’s self-adhered modified bitumen membranes and roof coatings. The series, dubbed “Roof Flix” includes a step-by-step guide for self-adhered roof system installation, as well as tips on how to design liquid-applied roof systems and more. Chem Link, a manufacturer of high-performance adhesives, sealants, coatings and related products, has introduced a new look for the company’s entire product portfolio. The new look includes all branding, packaging, and online presence. The refreshed packaging reflects the company’s new branding and features a vibrant blue theme across most products. Label information, such as installation guidelines, is printed in three languages (English, Spanish, and French). As part of the effort, the company has refreshed their website, www.chemlink.com. The new website features over 300 separate products, with enhanced product search filters, a product video library, supporting literature, and an improved user experience.